Tea towels are a vital component in any kitchen. We offer an extensive range of towels to suit any requirement. Perfect for both commercial and domestic use. 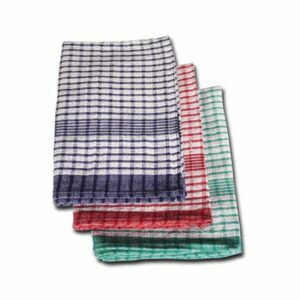 This trade favorite tea towel offers good absorbency and is suitable for all catering applications but are particularly suited for use in busy commercial kitchens. Available in assorted colours with either a blue or red border. 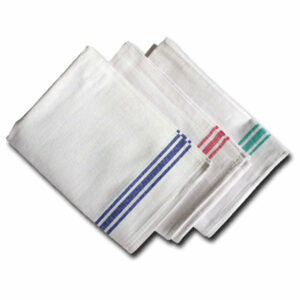 Cotton Twill Tea Towels are decorative and super absorbent, suitable for general purpose & heavy duty use. 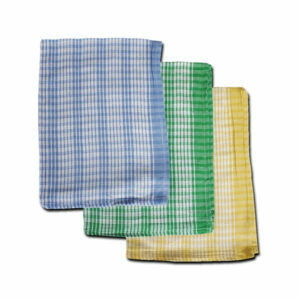 Professional grade premium terry tea towel posses a decorative check design. 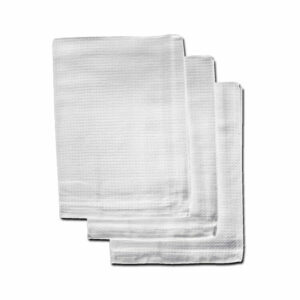 Manufactured from 100% Cotton with raised loop woven fabric for extra absorbency and also superb drying performance. 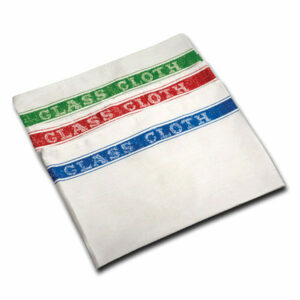 Excellent value printed glass cloth which will leave glassware sparkling without linting. Supplied in assorted colours with printed 'Glass Cloth' type. Produced from high quality linen, the cloths leave glassware sparkling without linting. 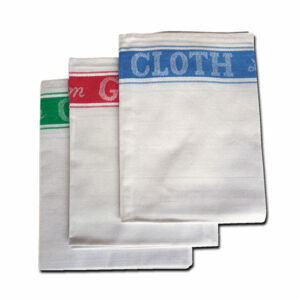 Supplied in assorted colours these professional standard tea towel are hard wearing and long lasting. 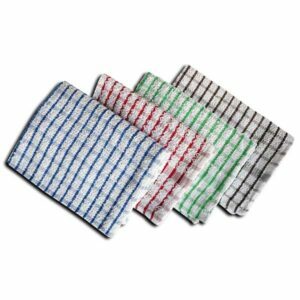 Professional white honeycomb tea towel with superb absorbency. 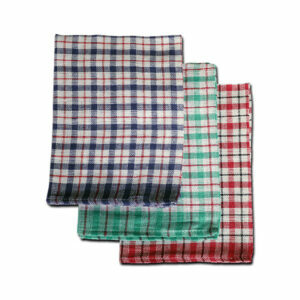 Additionally used as waiters cloth. 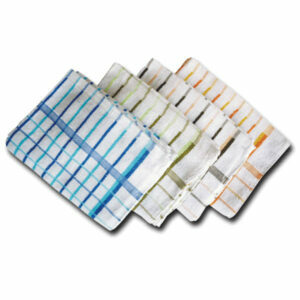 Check terry tea towel with superb drying and absorbent properties. 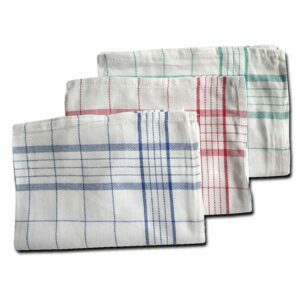 Suitable for all catering applications these tea towels ensure your dishes are thoroughly dry.